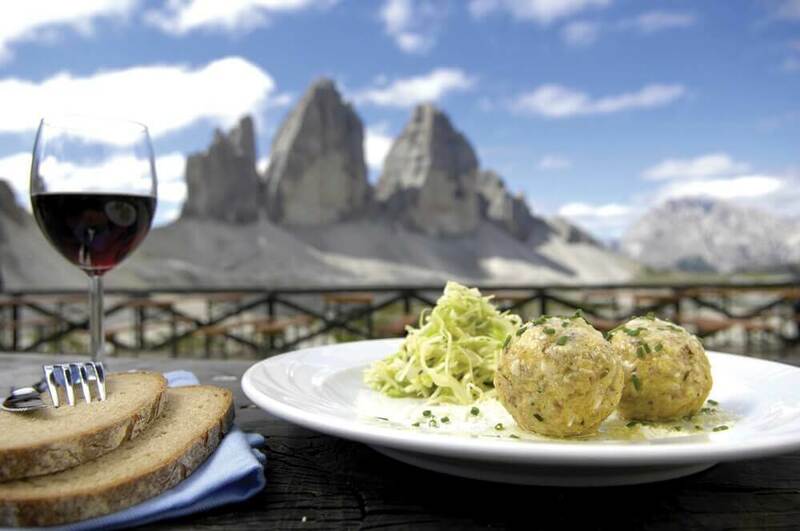 Discovering the best meal in South Tyrol is a bit like trying to find the best mountain view. Next to impossible. Just when you think you have it, another wonder lands in front of you. 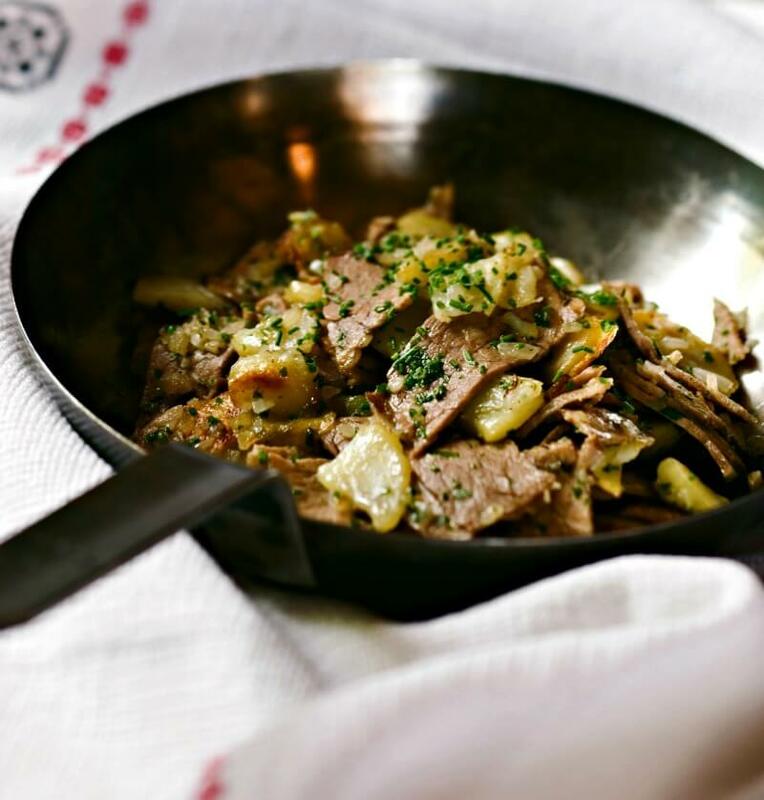 The area offers a savory cultural stew of Alpine and Mediterranean cuisine where your next meal could be Italian, Tyrolean, German or all three. On a recent outing into the heart of the Dolomites, we found the perfect place to devour one of South Tyrol’s most popular traditional dishes. The Malga Schgaguler Schwaige mountain hut is a rugged yet inviting gem that sits off a trail in the largest Alpine prairie in Europe, Seiser Alm (also known as Alpe di Siusi). As we approached the hut, a llama kept its eyes on us. We soon saw chickens, goats and rabbits darting around nearby. Ahh “true farm-to-table” I thought to myself, but then realized a small petting zoo also sat on the property. We surrendered our weary legs to a table on the outdoor patio facing a wide open view of the Langkofel Group (Sassolungo in Italian), an awe-inspiring mass of Dolomite peaks that thunder over the prairie. The first time we saw this massif, its immensity jarred loose any notion of permanence one has on Earth. Taking a break to grab a meal under its stony guard seemed more like a command than a choice. I finished my last dumpling bite and did my best to scoop up the remaining broth with my fork. I am not sure how South Tyroleans do it, but I am guessing it teeters on the edge of an art form. Soon we were greeted by a young man in traditional Tyrolean garb to take our order. He looked built from the mountain. Kate was immediately smitten. She in no time learned his name, Walter. 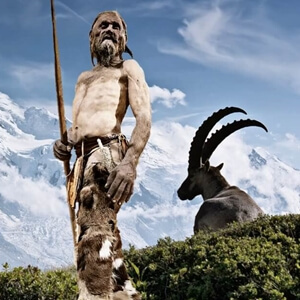 To up my manliness, I steered the conversation away and ordered a tall Forst beer (Forst is a South Tyrolean brewery located near Merano. They produce a nice light-styled lager that quenches one’s thirst after a good hike). Walter chatted with us a bit longer and we discovered that when he is not taming appetites on the mountain he races horses. Of course he does I thought to myself. I was immediately left wishing I had ordered three Forsts. 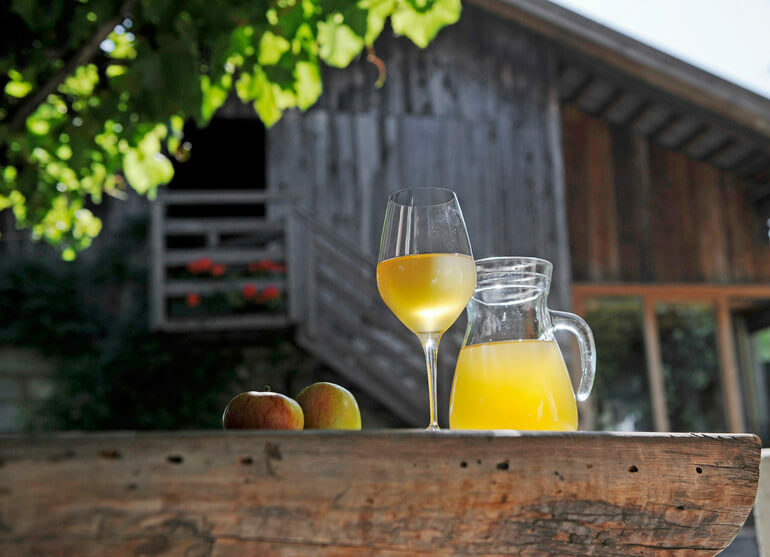 We browsed through a wooden-clad menu showcasing homemade South Tyrolean specialties. My grumbling stomach locked in on Speckknödelsuppe. The name looked tough. It had to be good. Besides, the name rang a bell. I recalled reading that Speckknödelsuppe translates to bacon dumpling soup. 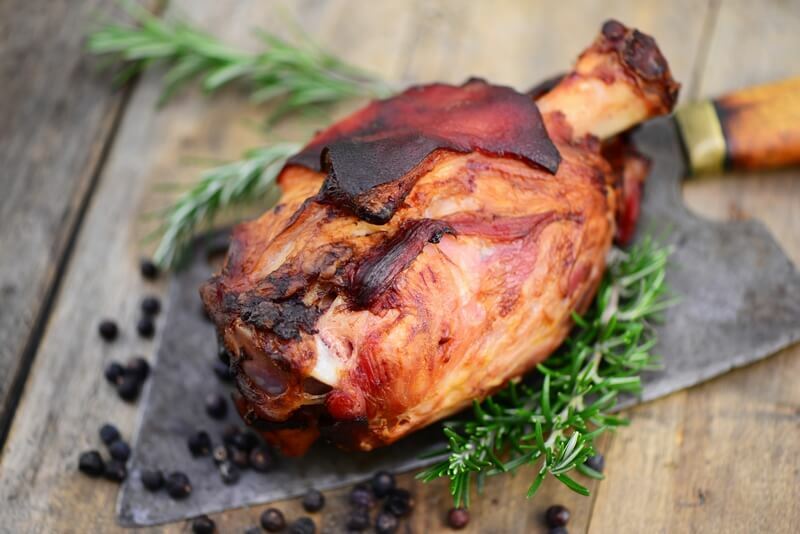 It is a South Tyrolean classic made with speck, a cured, lightly-smoked ham resembling bacon or proscuitto, and knödel, which is a bread dumpling. Making speck follows age-old principles of using a little salt, a little smoke and lots of fresh mountain air. 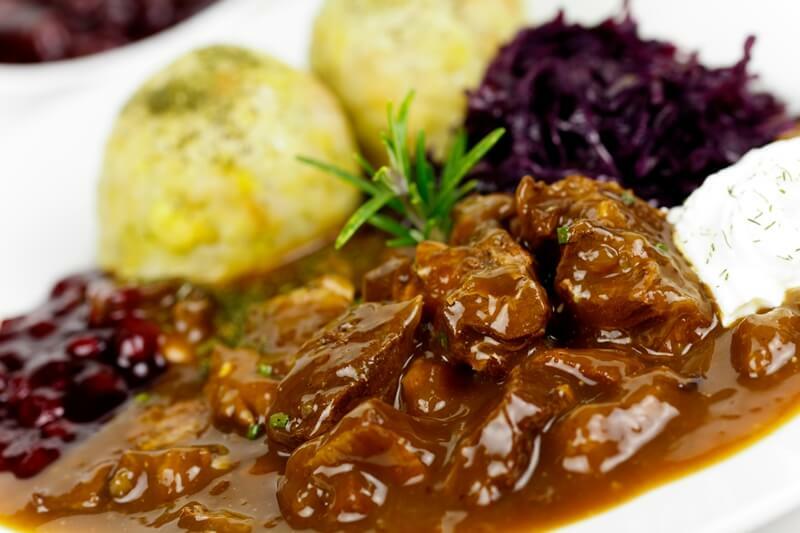 The tradition of South Tyrolean dumplings goes back to medieval times. A fresco from the 13th century graces a wall in the chapel of South Tyrol’s Hocheppan Castle. 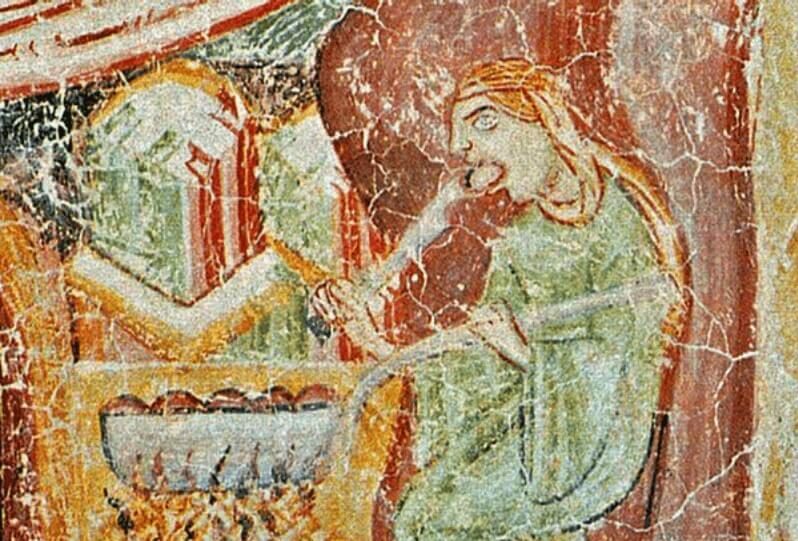 It shows a man cooking and eating knödel. Any recipe to survive centuries of war and famine must be divine. My bowl of Speckknödelsuppe arrived just as I finished my last gulp of beer. Naturally, I ordered another. The dish consisted of two baseball size dumplings in a steamy broth. All made from local ingredients. In no time, I dove in by cutting into the soft, compact lumps with a fork. I recalled that using a knife is an insult to the chef. Not something I am about to do on this mountain. 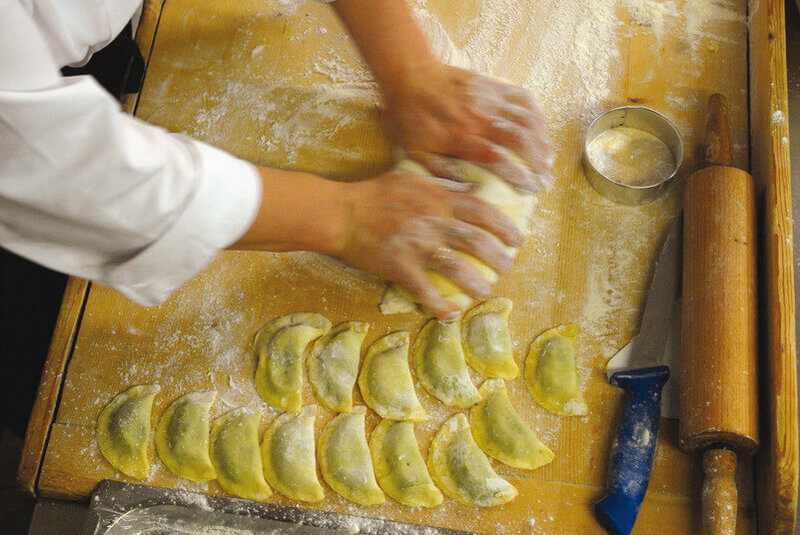 The cut dumpling revealed an aroma of fresh Alpine herbs. On my first bite, I enjoyed a medley of chive, onion and parsley flavors among bits of smoky speck. I took my time with each bite that followed. Nothing could have distracted me from this Alpine glory. Not the breathtaking views of the Dolomites. And not the sobbing child nearby who learned farm chickens are not for petting. Though the two dumplings plopped in my bowl seemed like a dainty meal at first glance, each Speckknödel packed a serious punch. Leaving the Malga Schgaguler Schwaige hungry was never a concern. 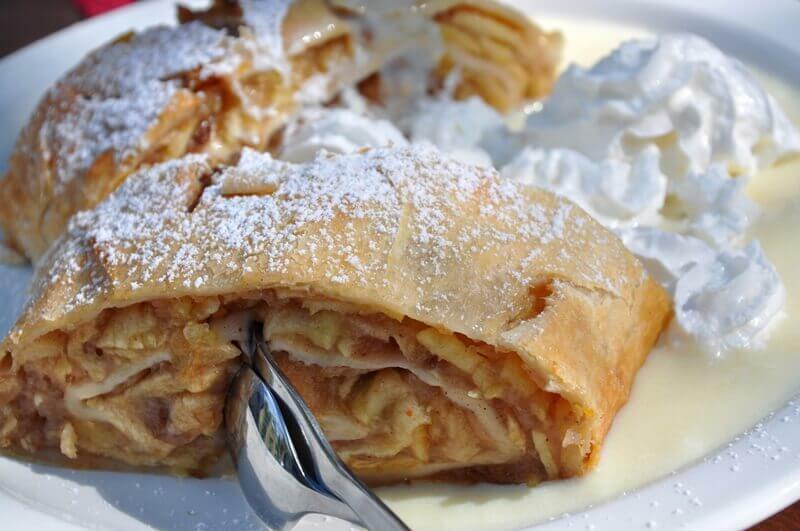 And that was before we indulged on some apple strudel. I finished my last dumpling bite and did my best to scoop up the remaining broth with my fork. I am not sure how South Tyroleans do it, but I am guessing it teeters on the edge of an art form. 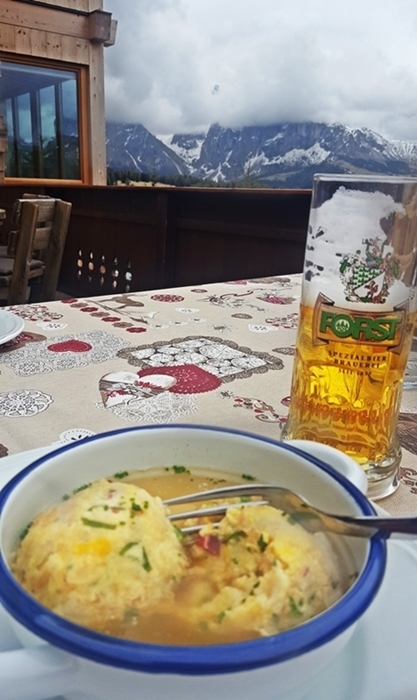 South Tyrol offers several knödel variations including Speckknödel dumplings without broth. Another popular dish, Knödel Tris, consists of three different dumpling varieties: one with speck, one with cheese and one with spinach. Those with a sweet tooth will want to try dessert knödel — a delectable treat made with lush plums. Every hearty hike should be followed by a meal of equal heartiness. Words every wanderer should no doubt live by. Fortunately, when you’re trekking through some of the mightiest mountains on the planet, embarking on such a hearty culinary adventure is as natural as your next step. 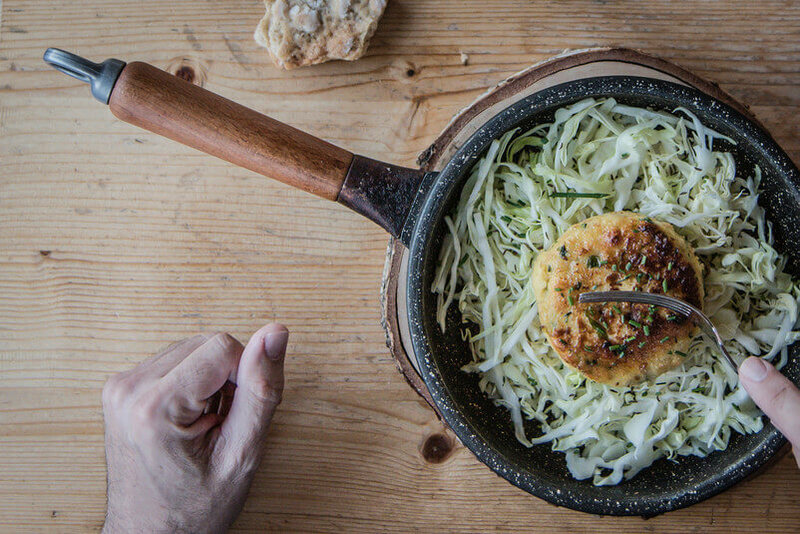 Make Speckknödelsuppe your go-to dish the next time hunger calls in South Tyrol. Alpine superfood? Conquering mountains seems far less formidable after devouring a bowl of Speckknödelsuppe! 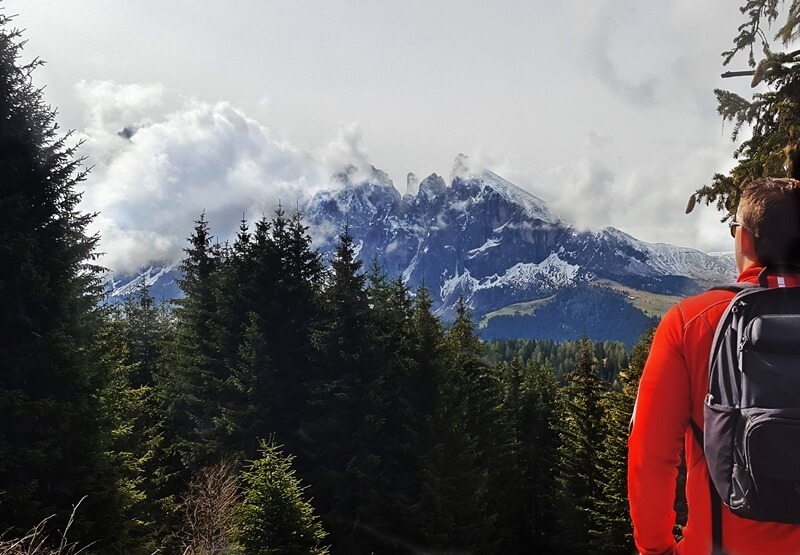 And if you’re venturing into Seiser Alm, be sure to visit the Malga Schgaguler Schwaige mountain hut. Whether you’re dining or just having a drink, its rustic ambiance and panoramic views are the idyllic setting to unwind for a bit. If Walter happens to be your gracious host, tell him hello from Throne & Vine! If you want to bring the Dolomites into your home (why wouldn’t you?! 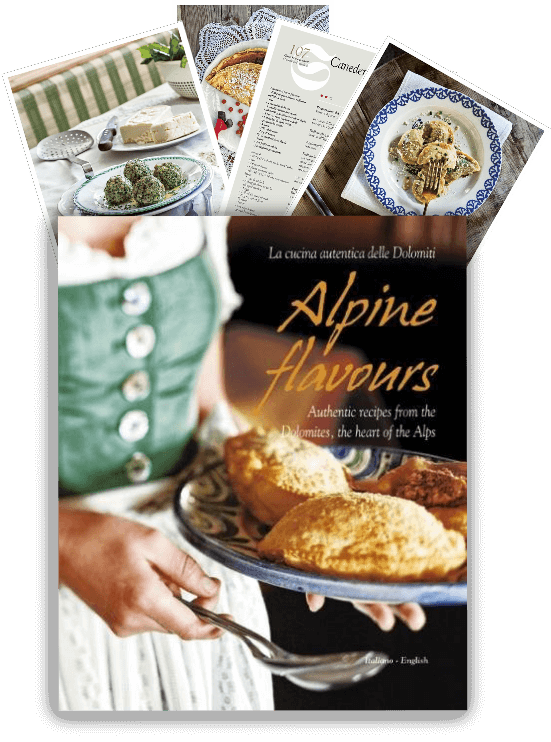 ), check out our post about the cookbook every mountain lover should own. 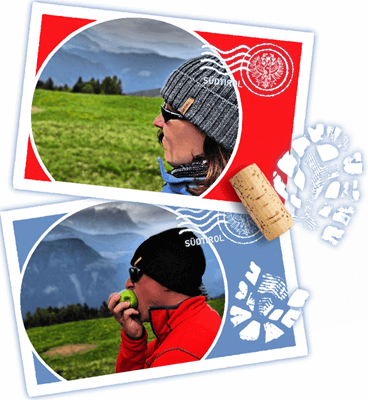 To learn more about the fascinating flavors of South Tyrol and this Alpine wonderland crowning northern Italy, be sure to subscribe to our email updates.